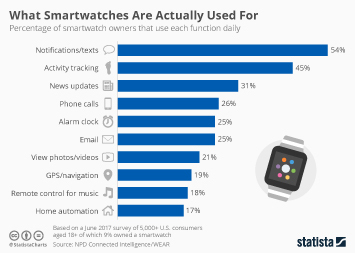 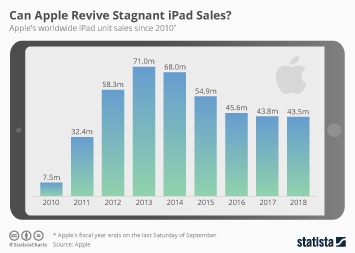 Apple’s release of the first iPad in 2010 kickstarted the rise of the tablet, a format that many companies had tinkered with before, but none had managed to bring to success. 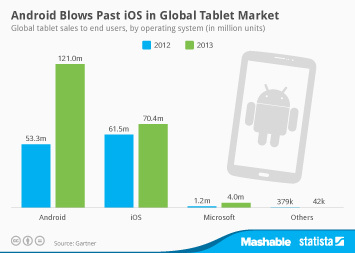 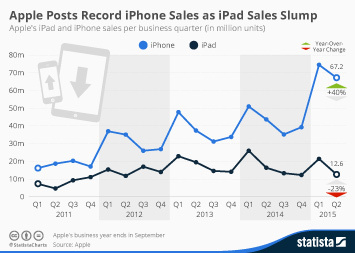 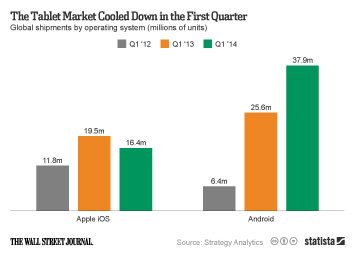 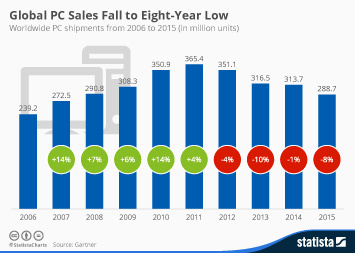 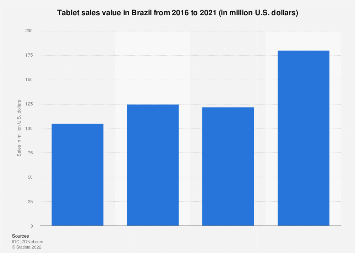 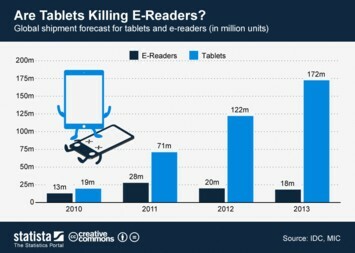 Within a few years, tablet sales grew from practically zero before the iPad’s launch to 230 million units in 2014. 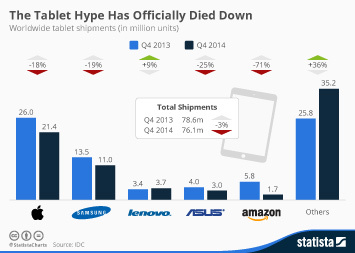 But then the hype suddenly died down. 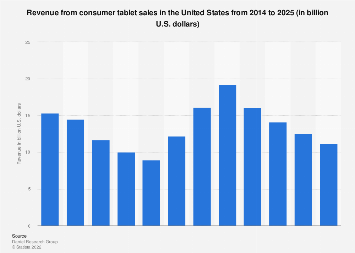 As smartphones grew larger and tablet innovation faded away, the market’s growth came to a screeching halt by the end of 2014, and worldwide tablet sales have been shrinking ever since. 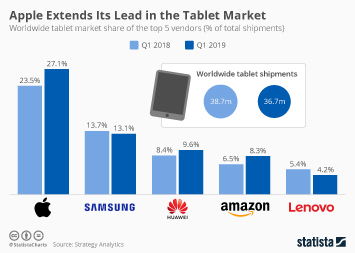 As the following chart, based on IDC data, illustrates, Q3 2018 marked the 16th consecutive quarter of declining tablet shipments, during which shipments dropped by 35 percent from 55.7 million in Q3 2014 to 36.4 million units in Q3 2018. 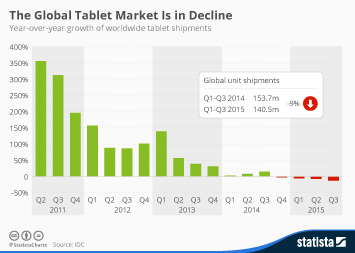 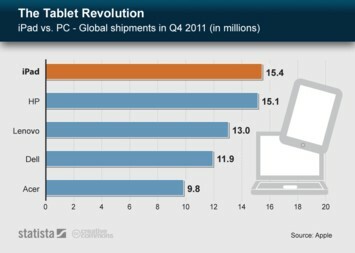 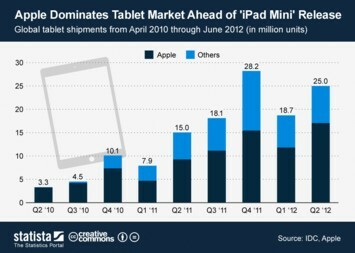 This chart shows the long-term growth of the global tablet market.